Matching Your Skills: Is it Time for a Drone Upgrade? Home Gadgets Matching Your Skills: Is it Time for a Drone Upgrade? It is often a good idea to start off at a modest level when you take up a new hobby and the add and upgrade your equipment once you hone your skills and want a greater challenge. Many hobbyists start with an entry-level drone, which is fine when you are learning the ropes, but once you have earned your wings you probably want to upgrade your drone to a model that is more capable of matching your newly-acquired skills. Here are some pointers on how to know when you are ready for an upgrade and what sort of features you should look for in your new drone. When you first start out flying a drone it can seem a bit daunting with so many different controls and skills to learn but after a few flights and maybe a few rookie errors along the way you should soon start to feel like you have a greater level of control. 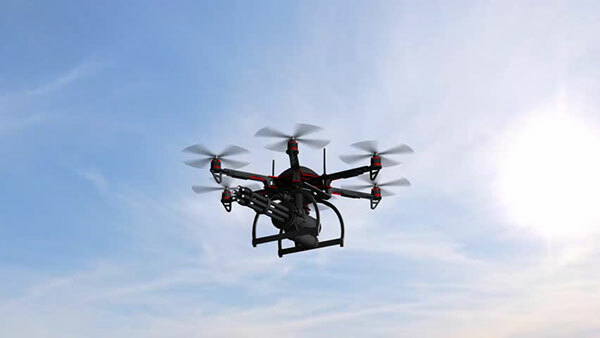 If you know how to choose a suitable place to fly your drone, how to get it off the ground safely, and how to hover in mid-air and land your drone without any issues every time, those are some good clues that you might be ready to take your drone flying experience to the next level. If you are sufficiently competent at the helm of the controls and understand how roll, pitch, throttle, and yaw can all affect movement, as well as having a good understanding of relevant safety precautions, you could argue that you are a bit more than a casual hobbyist. You will probably start to notice the limitations of your basic drone once you have broken through a certain level of competency and flying knowledge, so your aim should be to try and find a model that turns out to be a good match for your skills. If you are interested in putting your new drone to work in creating some stunning aerial shots and now have the navigational skills to put your machine in the right place for this to happen, you will want a model that offers a decent specification in terms of picture quality as well as flying performance. Dronethusiast reviews the best drones with cameras and that could help you to gather a short-list of models that should be suitable for your specific needs. Although some features might come down to personal preference there are also some attributes that are well worth looking out for when you are trying to decide which model to buy. An obstacle avoidance system is one example of a useful feature that provides a good backup to avert a potential disaster regardless of how good your flying skills are. Flying time is also important, as you don’t want to have to abort a flight early because the power is running low before you have managed to get the shots you want. Great camera quality and a useful level of technical control are other useful features that should be considered when you are drawing up a shortlist. If you want to take your drone flying experience to a higher level make sure you invest in a drone that is capable of matching your skills.